Wow!! Great pictures and story. Great photos! Would you mind if we shared this on the Hamilton Heights Facebook page? http://www.facebook.com/HamiltonHeights Thanks! Please do! I’m especially eager to share this with those in the affected community, would love to hear any memories of the school or opinions about what’s being done with the place. I would like to know, does this space still exist or has it been renovated or demolished. I would also like to use these photos in a music video, Would you grant me permission and if so please email them to me? I am from Harlem. I went to P.S. 186 in 1968-1969. I am devastated at the decay of the building. A lot of memories there. I also went to Stitt Jr. High School. It also is closed. What is happening to our neighborhoods and schools? Your article is so interesting. They have turned the building into gorgeous luxury apartments that house the boys & girls club on the 145th street sides, and apartments on the back 146th Street side and they are nice with new floors & appliances. Never would have imagined the building looked like this. This article is great. Your entire site is amazing. Thank you for sharing! The pictures are beautiful, I do hope they attempt to maintain all if not most of the original details in the restoration process. 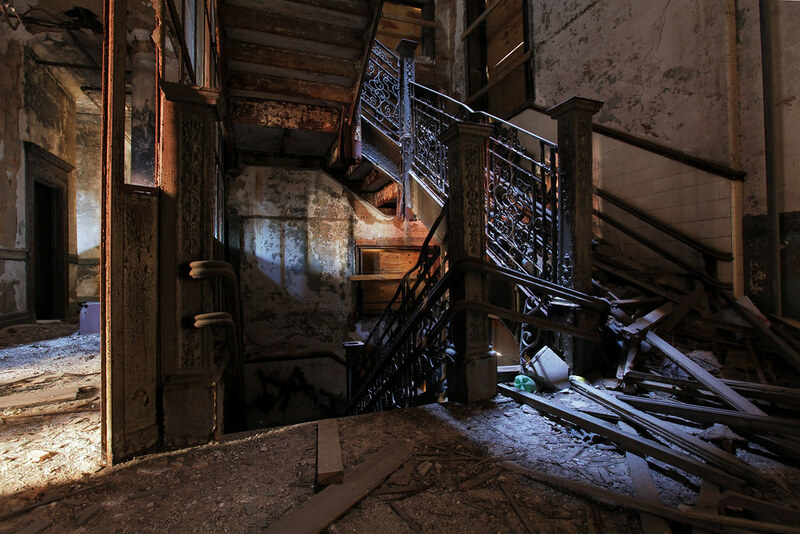 That staircase is just to wonderful to be thrown away! Excellent job! wow, this is so interesting… amazing photos. amazing photos. I’m a photographer myself, would i need to contact someone to get permission to go in and take photos, or would i be able to walk in? Amazing photos! I too wonder if you are allowed to go by and take a peak or if special permission is required. Also, im travelling from Los Angeles and plan to see Dead Horse Bay. Are there other spots like that I can find out about. Abandoned sites fascinate me so much! These pictures are wonderful. I went to first grade at PS 186 in 1968. I recall lining up in the courtyard in the mornings and the booming sound of kids gathered on the first floor. Inside the school was huge, and being a kind of goofy kid I was constantly getting lost and walking down the long halls and strange hallways. My godmother went there in the 1940s and said it was a great school, but by the late ’60s, PS 186 was rough and I was sometimes bullied. At the urging of my teacher, mom sent me to private school the following year. Still, having grown-up in the neighborhood, the building has long amazed me, especially in its declining years. Hope you post more pictures soon. I went to PS 186 from 1964 to 1969 (Fifth Grade, the last grade). I had fond memories of the school and remember the Music Room on the first floor and the lunchroom. I also remember going to Woolworth’s on 146th Street, Broadway, during lunchtime and getting a bag of popcorn for 10 cents. I remember all my teachers who were named: Mrs. Rosenthal (kindergarten), Ms. Friedman (1st grade), Miss Stein (2nd grade), Miss Dansen (3rd grade), Mr. Gibson (only black teacher, 4th grade), and Mrs. King (5th grade). The best education. After graduation, they wanted to send me to Stitt Junior High but instead I attended Our Lady of Lourdes from 1969 to 1971.Anyone out there from the Class of 1969? These pictures of P.S. 186 in Harlem are phenomenal! 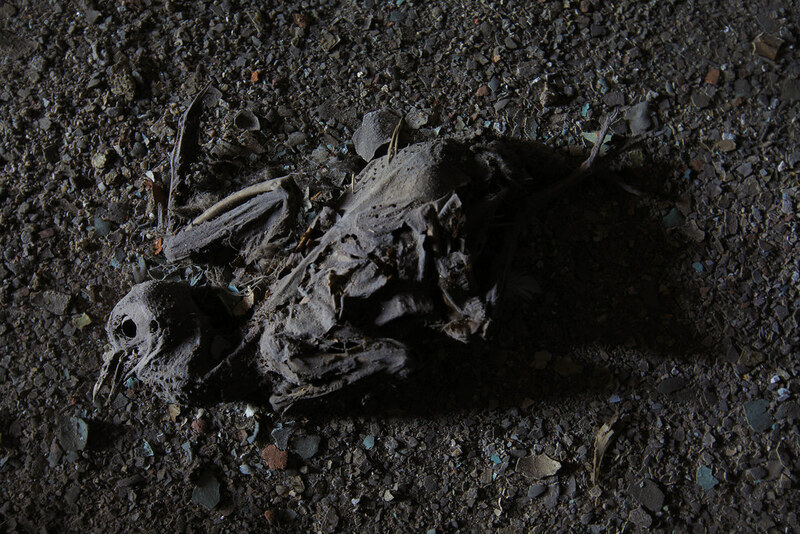 We never knew the back story of the old abandoned building, but you obviously went digging for some quality details. If the structure weren’t so unsafe, this would make a great historical tour or something of that nature. It will be interesting to see what becomes of the new development. You inspire me all the time. I got caught at Grossinger’s yesterday and asked to leave. I am amazed at the places you get into! Letchworth is a regular stop as I live close by. I’d love to go with you on an adventure anytime! Thanks so much Lorraine! 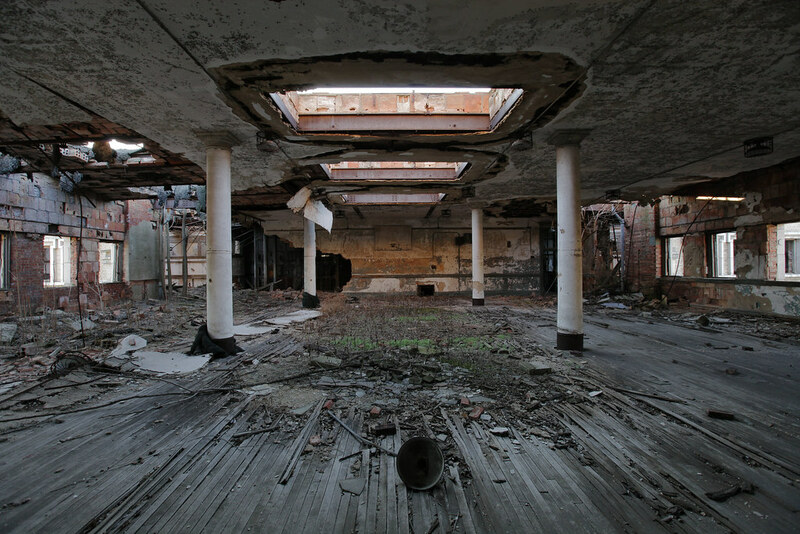 Sorry to hear about your bad luck at Grossinger’s, I hope you at least got to see the swimming pool. Letchworth Village is such an unforgettable place, I camped at Harriman for a weekend and still wasn’t able to see the whole thing. WOW! Great images, nicely framed. 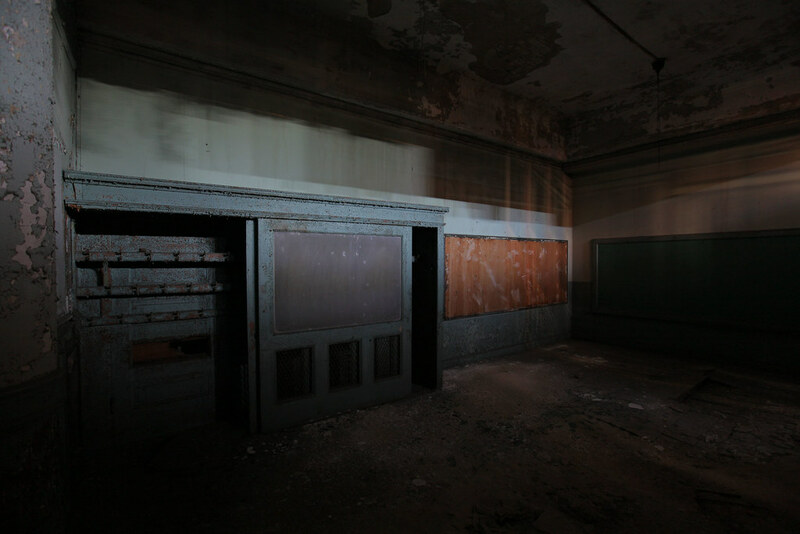 I found myself walking through the halls as I viewed each image. I graduated from that elementary school in 1971. When I return home to my neighborhood, I am delighted to see the growth and change that occurred during the past few decades. However, I am sadden each time I walk around the entire block…from Broadway and 145th street, east to Amsterdam Ave, North to 146th, street, and south to Broadway…to see how this structure is the biggest eyesore in this part of Harlem. This structure (or what is left of it) needs to become a vibrant part of Sugar Hill again! I am media producer and I am considering producing a documentary on the history of that structure, the students, teachers and staff that were there during the late 60’s and seventies. Please make sure that this development is not given to HPD….I live in PS90 and although our building looks great from the outside their is construction defects by BFC&L&M Management. Sponsor is corrupt on so many levels. I just got back from visiting the school. It was incredible. If you’re there, you should definitely check out the view from the roof! 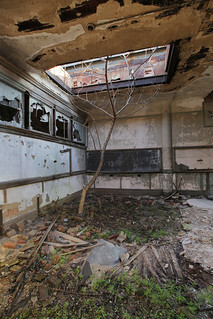 There’s a ladder in one of the arboritum-like rooms on the top floor. There are holes all over the roof but there’s a spot with two cinderblock and brick bench-type things someone made. A really peaceful end to a fabulous visit. And the book room’s amazing too–a small, closet like room full of all these old books from the school. Some were as old as from 1940. Awesome, I plan on going very soon…was there any problems entering ? I actually found it very easy to enter. 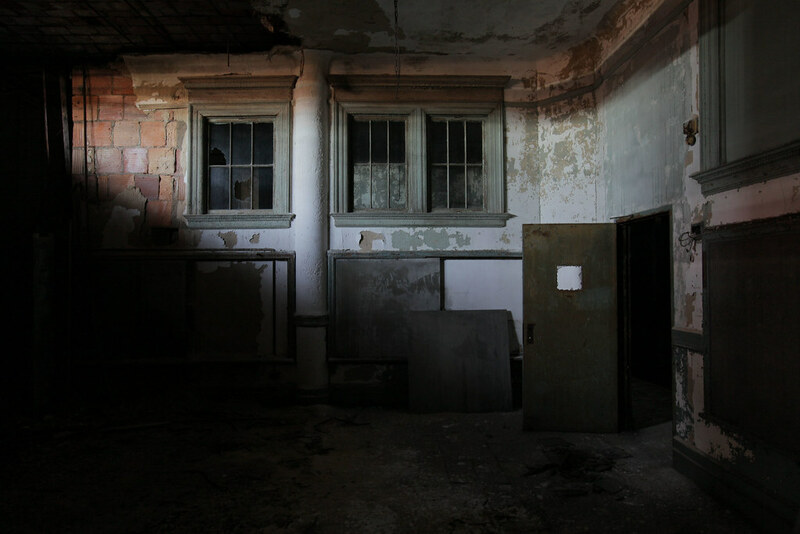 The door has a sign that says “Do Not Enter” or something to that effect, but it is wide open and leads straight to the courtyard, from which you can easily climb up a ladder that leads to one of the bottom windows. The only advice I have for you is that there are sometimes cops outside of the entrance, or security officers. Make sure to enter only when they are either gone or otherwise occupied. We had to wait a few hours before going in. Also make SURE you bring a really powerful flashlight. 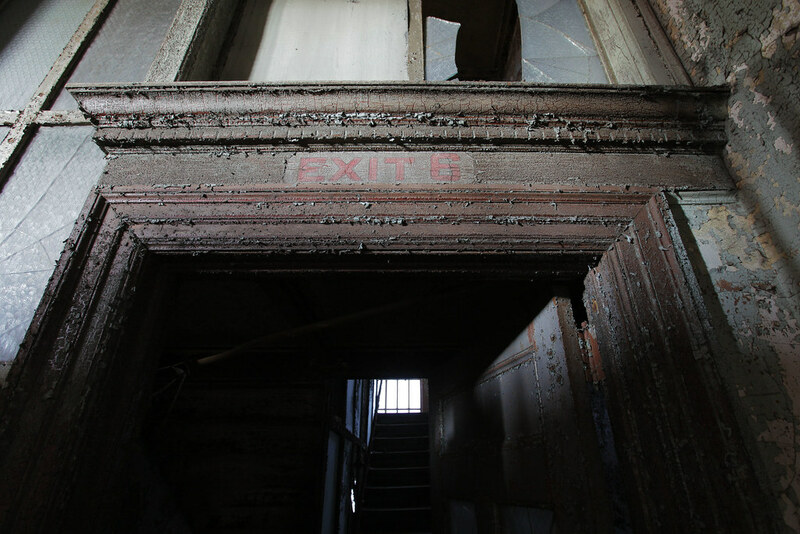 Many of the upper floors are well lit, but finding the stairs from the lobby is terrifying without proper light. How would you go about having this building restored in order to house mothers who are suffering from the disease of substance abuse and helping them to learn to deal with their children and how to live independently, or is that even possible. Since this would be considered a historical landmark. I went, it was glorious. Was it hard to get in? I would love to see it when I visit NY, are there guards or can you go and walk around without much notice? wow – I was a student here back in the 50s. makes me want to check out JHS43 where I went to Junior High. Hi Jim I was also a student back in the 50s but went JHS 164 . Rabb, Jim, I went to first and 2nd grade at 186 in 1957-1958 and 1958-1959, respectively (then transferred to the Wright Bros School, 155th Street, then JHS 164 as well). Mrs Saltzman (?) was my first-grade teacher, young and very kind to me and Mrs Dulsky was my second grade teacher (grandmotherly and a very good teacher). God bless all the wonderful teachers of the NYC school system. So nice to have someone else remember Mrs. Dulsky, She was the greatest. Hi! I am a freelance reporter wondering if I could possibly use some of your shots if I am unable to get in myself! Thanks! How dangerous is it to go in there? It’s fairly dangerous, the lower floors are pretty structurally sound, but there are a lot of sections in the upper floors that might be prone to collapse. Tread carefully! 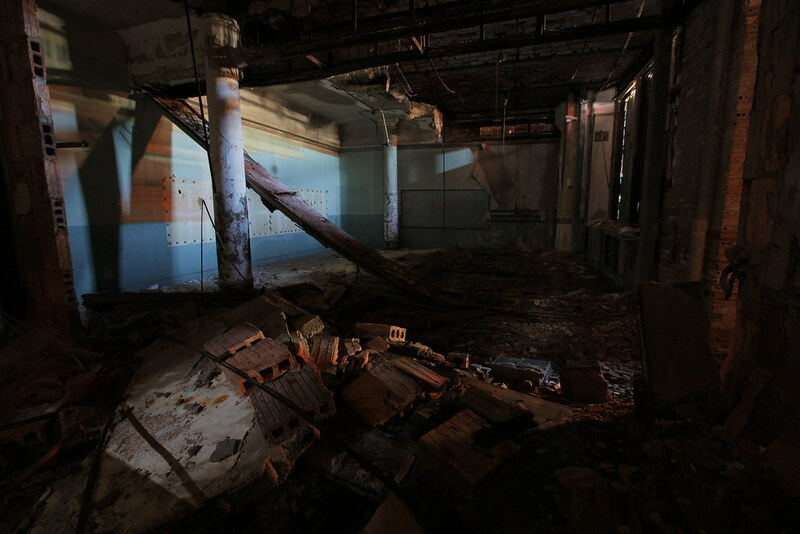 I really need to take pictures in abandoned places and I really wanted to go there. Would I be able to go there anytime or do I need a special permission to get in. 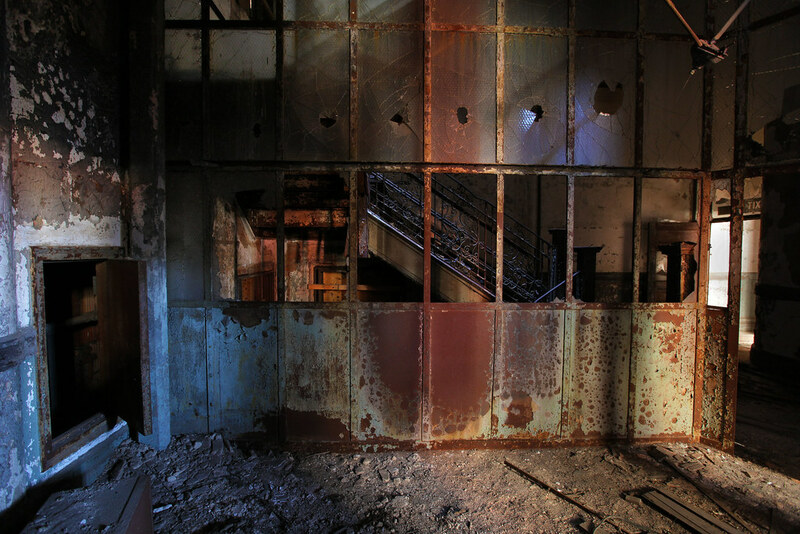 And do know of any other open abandoned places in new York that I could shoot in?? I went to this school from 1964-1967. The first (top) picture looks like my kindergarten classroom on the first floor. I taught in this school from 1970 until its closing when we move temporarily to a movie theater on Broadway and 146th street before moving into our new building on Amsterdam Ave between 146th and 147th named after Adam Clayton Powell – PS 153… I took many great photographs of the kids in the schoolyard at PS186. Wow, That means i attended my last class at 186, i remember the principle Mr Lomax……….my name is Leon Lassiter. Eddy, I attended this school from 1964 to 1969. Maybe you are Edward who attended Mrs. Rosenthal’s kindergarten class with Linda (whom you had a crush) and me, nancy? If not, okay, we attended at the same time. Appreciation to my father who told me concerning this blog, this weblog is really remarkable. I attended PS 186 in the late 30’s and graduated in 1943. It was a beautiful school and am so glad it will be renovate and preserved. So many memories there. I remember two of the men teachers being drafted and going off to WW II. My family left in NY in 1943 so I never knew if they came back safely. Does anyone remember that the actress Bette Davis attended there I believe in the 20’s. There is a lot of history that could be written. Please keep me updated. I lived in the area of this school as a child of the 80s. 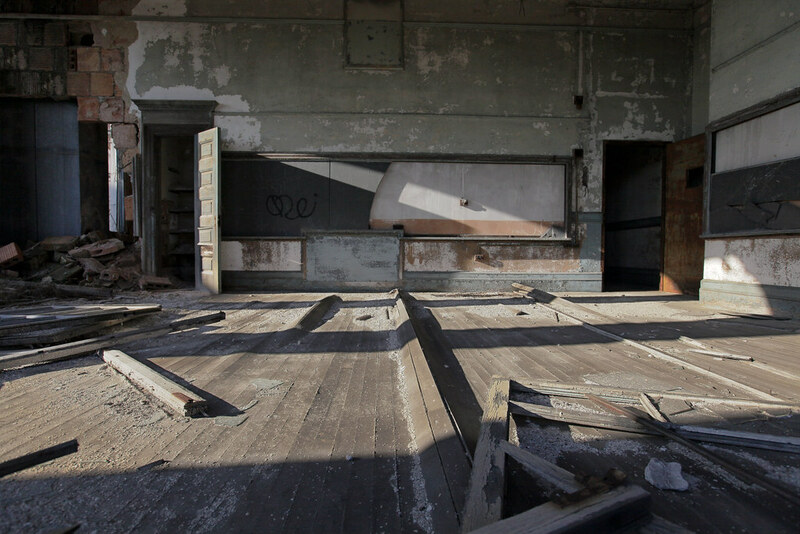 I never understood why the school sat abandon. Thanks for sheding the light. Such beautiful schools should never go to waste. In memorial. A school I actually attended, but was torn down. PS 179. I went to p.s.186 in 1967-and 1968. It was a beautiful school. The décor was beautiful and I remember the school being huge. I live on 146 street between St Nicholas and Convent Avenue. I would walk up the hill to school. I remembered being bullied. I loved the fact that you can enter the building from 145 street or 146 street depending on where you lived. The court yard where we played was full with other kids. I loved that school. Hate to see it in total ruin. My aunt lived in the same block with this school and I used to hate seeing this school abandoned and I’m glad there saving it and doing something positive with it instead of demolishing it. 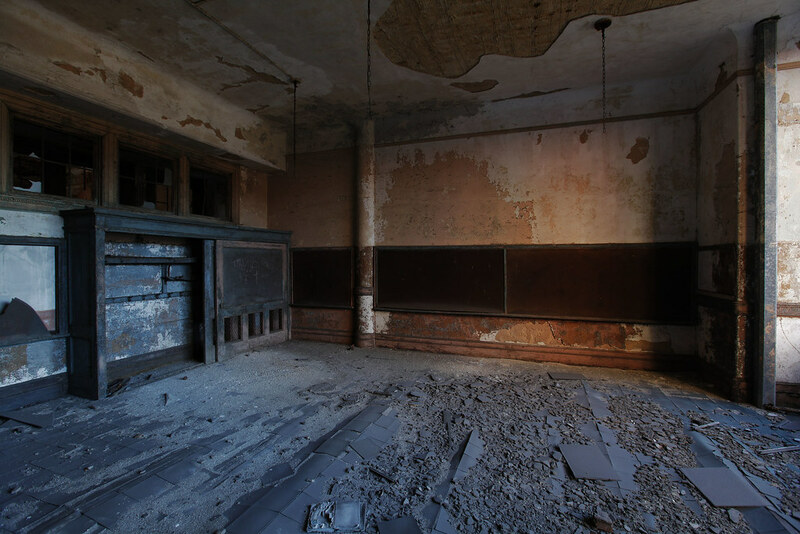 Pingback: Beautiful visions of the city’s past… Abandoned NYC | Headlamp Pictures - 7-10-12. Pingback: Gone, Forgotten and Ever-Present | Lost Apple - 7-13-12. Pingback: In Our Feeds: Books and grapes, golden superheroes, 88 books that shaped America and more! - 7-13-12. Pingback: SCHOOLS OUT…. Forever! 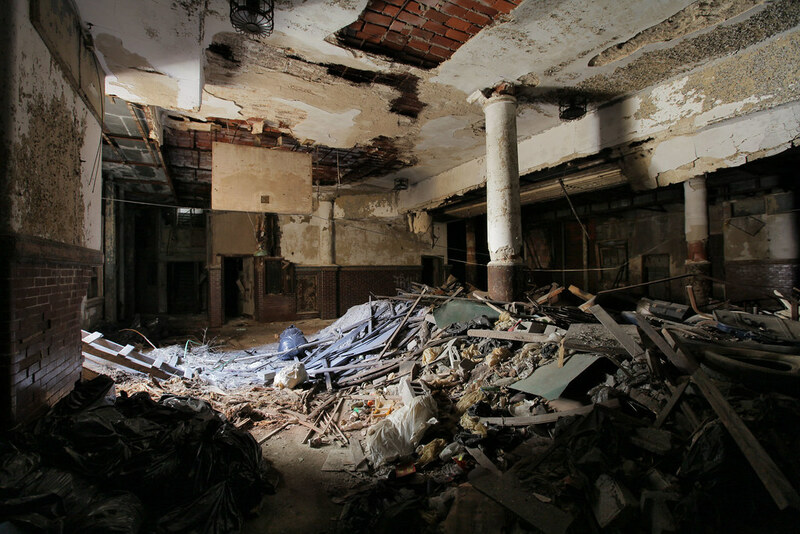 Inside Harlems abandoned P.S. 186 | Devin Masga Photography - 3-17-13. Pingback: » P.S. 186 - 7-8-13. 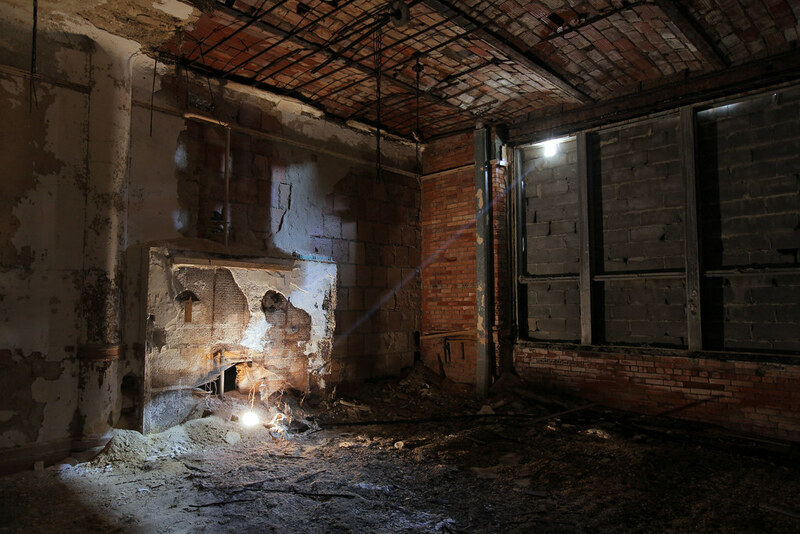 Pingback: Untapped Contributor: Will Ellis | Untapped Cities - 7-27-13. 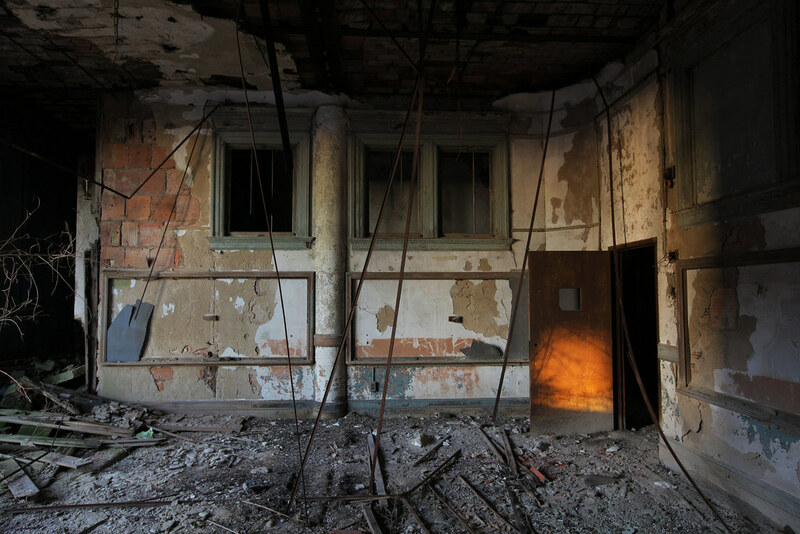 Pingback: 10 Post-Apocalyptic Places Hidden In Major Cities | Adorer.tk - 6-2-14. 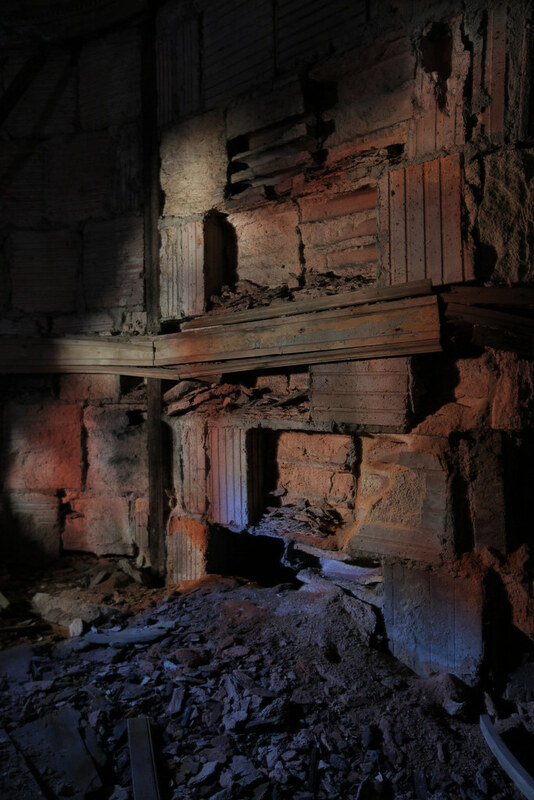 Pingback: 10 Post-Apocalyptic Places Hidden In Major Cities | AdJudged.tk - 6-2-14. 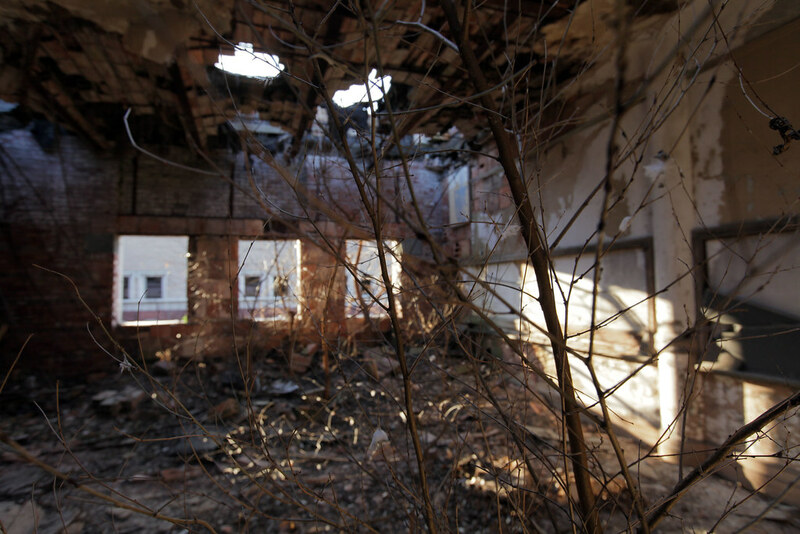 Pingback: 10 Post-Apocalypse Places | Michigan Standard - 6-3-14. 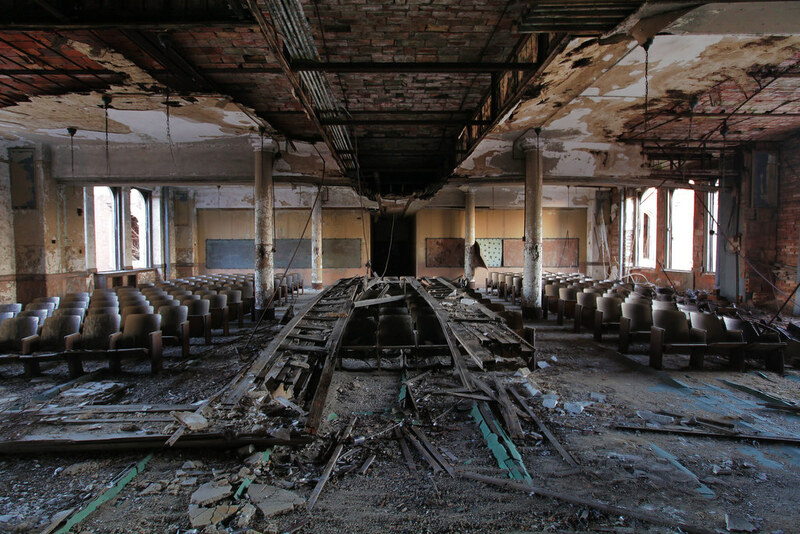 Pingback: 10 Post-Apocalyptic Places Hidden In Major Cities | My Blog - 7-8-14. 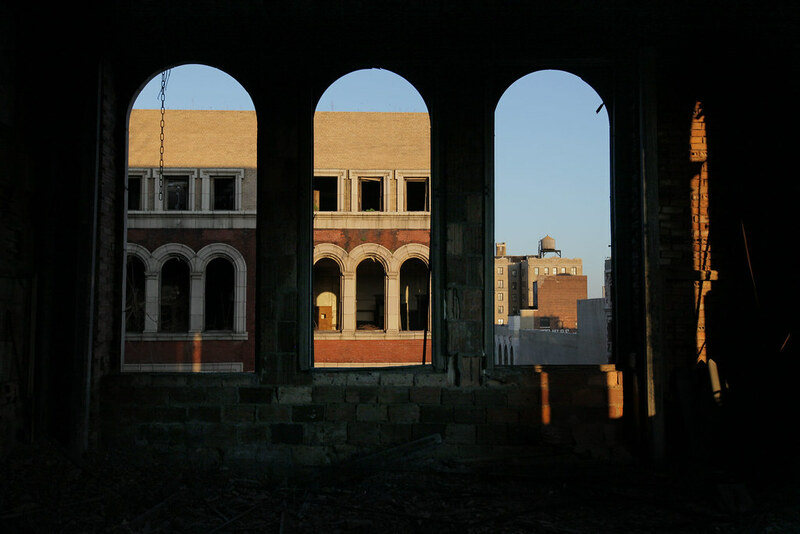 Pingback: Photos Inside Harlem’s Abandoned PS 186, To Become Boys and Girls Club « Untapped Cities - 8-21-14. 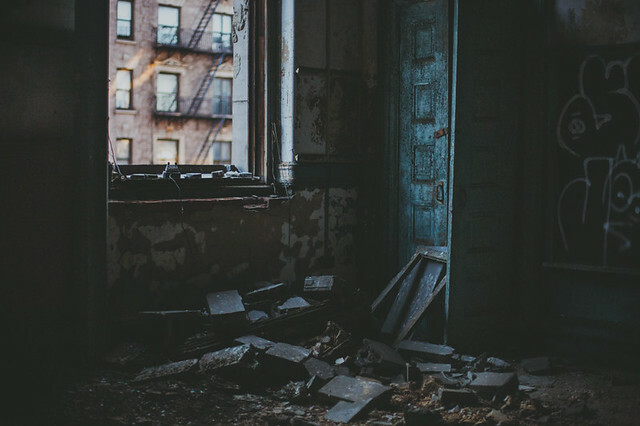 Pingback: The 13 Most Haunting Abandoned Spots In NYC | OK Fashion - 10-22-14. Pingback: Boys & Girls Club of Harlem New Home At PS 186 - 11-15-14. 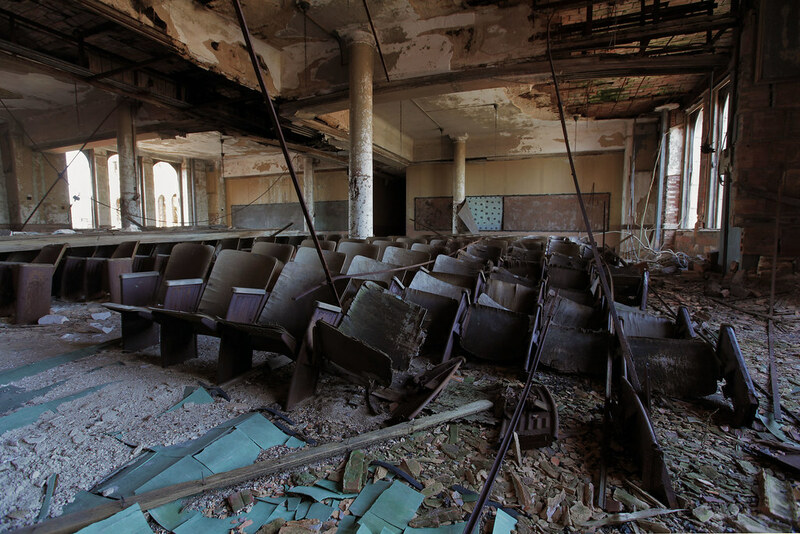 Pingback: 10 Post-Apocalyptic Places Hidden In Major Cities | CastingTT.com/Buzz - 1-29-15. Pingback: ps.186 | ps .186 - 3-1-15. Pingback: 10 Post-Apocalyptic Places Hidden In Major Cities | Jolly Pepper - 5-1-15. Pingback: 10 Post-Apocalyptic Places Hidden In Major Cities - 10-31-16.